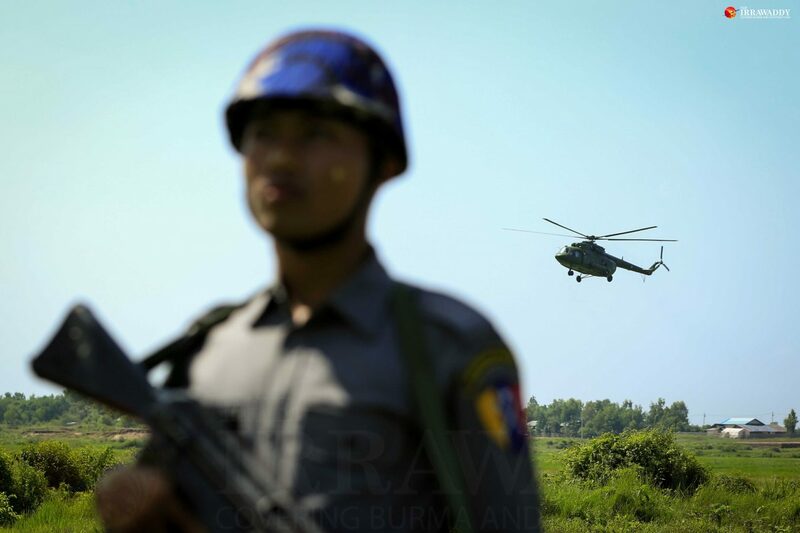 MAUNGDAW, Arakan State — As police and the Burma Army continue their manhunt across rural areas of Maungdaw Township in northern Arakan State for perpetrators of Oct. 9 attacks on border guard posts, Maungdaw locals face rising food prices and livelihood restrictions. While most of the estimated 250 attackers remain on the run—their precise identity unknown—police and locals have claimed that the Oct. 9 attacks were conducted with the crucial involvement of local Muslims, who mostly identify as Rohingya (but whom the government calls “Bengali”), with police casting suspicion on Rohingya caretakers at the border guard posts. 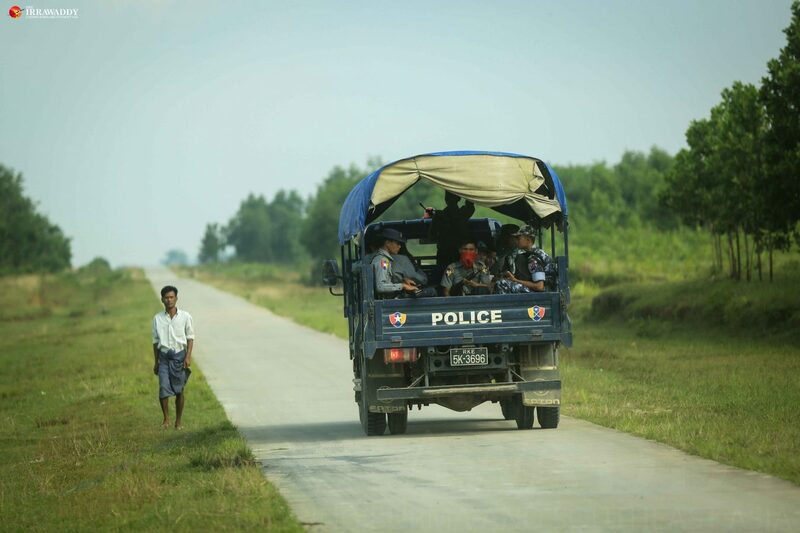 In the hub town of Maungdaw, close to the Bangladesh border, roadblocks have been imposed at every entrance, and police and army personnel question each Muslim who passes. Last week, an existing curfew from 11p.m. – 4 a.m. was extended to 7 p.m. – 6 a.m. throughout Maungdaw District, and is rigorously enforced, making the town eerily quiet during curfew hours. Deliveries of food and commodities to Maungdaw town have been restricted, causing a sudden rise in prices. Since the attacks and the ensuing security clampdown, a bag of rice has gone from 24,000 to 28,000 kyats, one viss (a local measurement equaling 1.63 kilograms) has gone from 1,500 to 2,000 kyats, and one viss of cooking oil has leapt from 2,500 to 3,500 kyats. Even mobile phone users have been hit, with 5,000 kyat MPT top-up cards selling for 5,900 kyats. Authorities have banned local residents from going out to sea for fishing, which many Rohingya rely on for their livelihoods. Seafood has been scarce in local markets as a result. 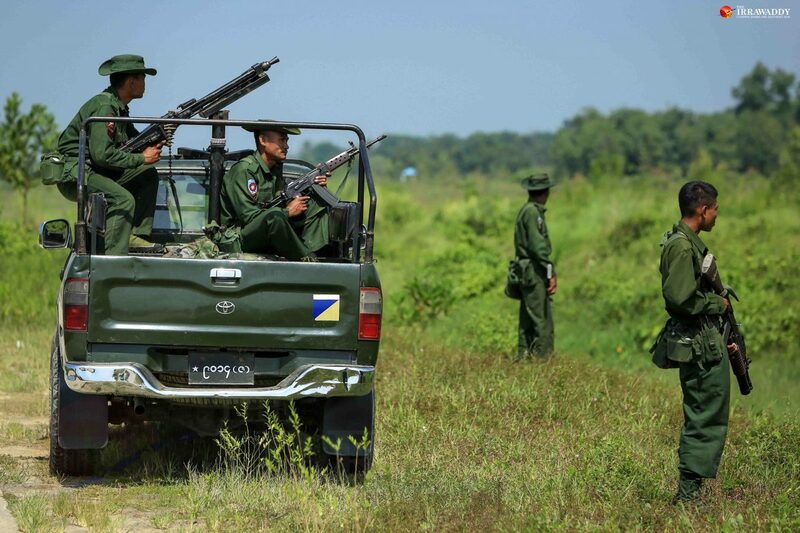 The Burma Army and the police have reportedly yet to secure the countryside, where operations have resulted in several dozen deaths among the army, the police and alleged Islamic militants. This has caused Buddhist Arakanese residents—who are estimated to make up less than 10 percent of Maungdaw and neighboring Buthidaung townships—to continue fleeing from villages to Maungdaw town, where they are staying at relatives’ houses or at Buddhist monasteries. During the manhunt by police and the army, many Rohingya have also fled their villages—it is unclear to where. There have been conflicting, unverified reports of village houses being burned by either Burmese security forces or the militants behind the border guard post attacks. However, the Burma Army has been blocking media access to rural areas of the township where security operations are taking place, on the grounds that it is unsafe, and many local Rohingya have been fearful of talking to media. Irrawaddy reporters were stopped on Sunday by soldiers at Kyikanpin village in Maungdaw Township, the site of the border guard police headquarters attacked on Oct. 9, and prevented from traveling to Aung Mingalar village, four miles further north, in accordance with a high-level army order received that day. Police Col. Myo Lin Aung told reporters that the militants had been stashing weaponry in the vicinity of Aung Mingalar, as well as food provisions to last three months. Among police circles in Maungdaw Township, suspicion has fallen on Rohingya caretakers employed at the border guard headquarters and outposts that came under attack on Oct. 9, with some maintaining that their involvement was essential in the raids—for instance in seizing the 51 firearms, many of which were stored in hidden locations known to caretakers on the grounds and few others. Rohingya in are regularly employed as menial labor in government offices, police stations, and businesses owned by Buddhist Arakanese in northern Arakan State. The whereabouts of the caretakers at the border guard posts attacked on Oct. 9 does not appear to be known. He said that he personally recognized a man featured in a purported militant propaganda video that has circulated widely on social media—in which armed men call for Muslims to join a jihad in Arakan State to defend the Rohingya—and said he understood the dialect used in the video, which is the same as that spoken by local Muslims in the township. “No one from Bangladesh is involved in this [militant] group. They all are from the north of Maungdaw Township,” he said. Ba Cho, a Rohingya from Ah Lie Than Kyaw who has worked as a medical officer for the government, shared Zaw Htoo’s belief that the militants were local to northern Maungdaw Township. Village tract administrator Zaw Htoo said they were “very worried for their security,” since they could see the unregulated movement of people and goods on a daily basis across the river that separates the village cluster from Bangladesh. “They could transport guns by river,” he said, and “go in and out of Bangladesh at any time.” He said that Burmese authorities had seized a cache of illegal firearms near his village in 2012. All schools in the area have been closed since the beginning of last week—as they have been across Maungdaw District—and local government staff have fled along with more than 100 Buddhist Arakanese residents, although Ah Lel Than Kyaw village tract has remained peaceful. Zaw Htoo said that the manhunt conducted by police and the army across the township would continue to prove challenging, due to the militants’ purported ability to blend in with the local Muslim community, and the reluctance of local Muslims to work with Burmese authorities. “It is hard to know what is going on in their community,” he said. On Friday, the President’s Office announced that four suspects connected to the Oct. 9 attacks had confessed to belonging to an Islamic militant group called Aqa Mul Mujahidin, linked to the Rohingya Solidarity Organization (a group considered defunct since the 1990s), and to having received funds from outside terrorist organizations and wealthy individuals in the Middle East with the goal of radicalizing local Muslims and occupying parts of northern Arakan State.